The Nabtesco reduction gear is a family of planocentric reduction gear mechanisms designed for precise motion control. 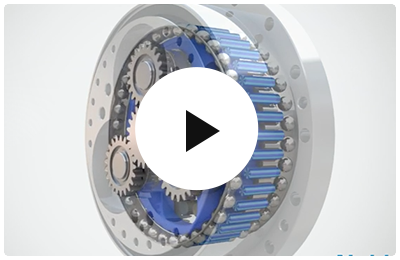 The mechanisms incorporate a large number of simultaneously engaged gear teeth, and have compact, lightweight and highly rigid construction that is resilient against overloading. Furthermore, minimal backlash, rotary vibration and inerita assure rapid acceleration, smooth motion and extremely accurate positioning. 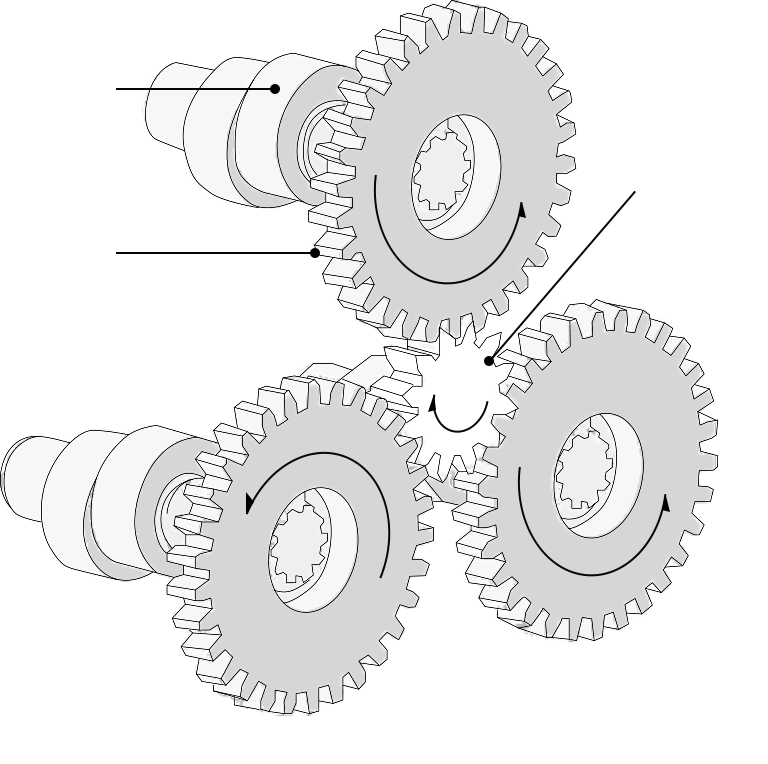 1Rotation of the servomotor is transmitted through the input gear to the spur gears, and the speed is reduced accordingly with the gear ratio between the input gear and the spur gears. 2Since they are directly connected, the crankshafts have the same rotational speed as the spur gears. 3Two RV gears are mounted around the needle bearings on the eccentric region of the crankshaft,(In order to balance the equal amount of force, two RV gears are mounted). 4When the crankshafts rotate, the RV gears mounted on the eccentric sections also revolve eccentrically around the input axis(crank movement). 5Pins are arrayed in a constant pitch in the grooves inside the case. The number of pins is just one more than the number of RV teeth. 6As the crankshafts revolve one complete rotation, the RV gears revolve eccentrically one pitch of a pin(crank movement), with all the RV teeth in contact with all of the pins. 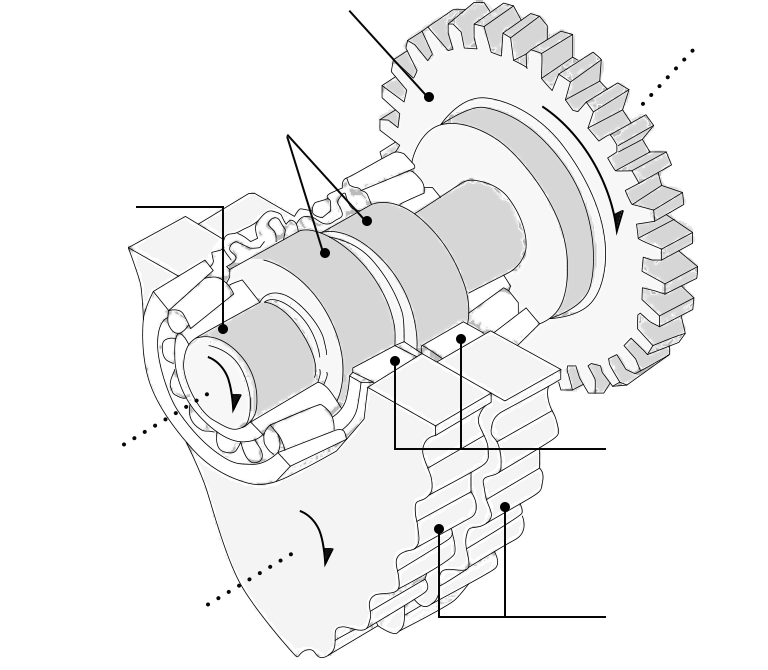 7The rotation is then transmitted to the shaft(output shaft)via the crankshaft. 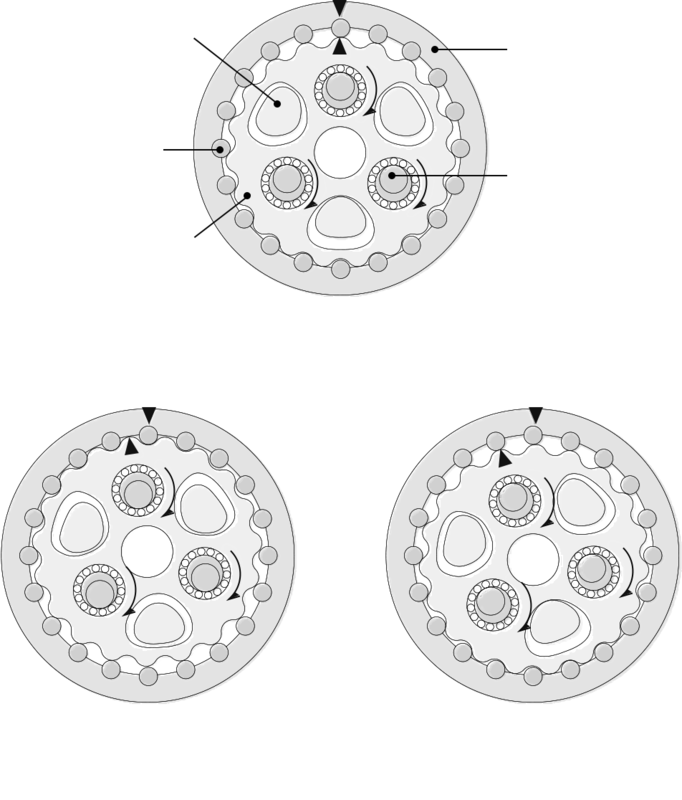 8At this time, the shaft rotation speed can be reduced proportion to the number of pins against the crankshaft. To play the video requires a browser that supports the video tag.